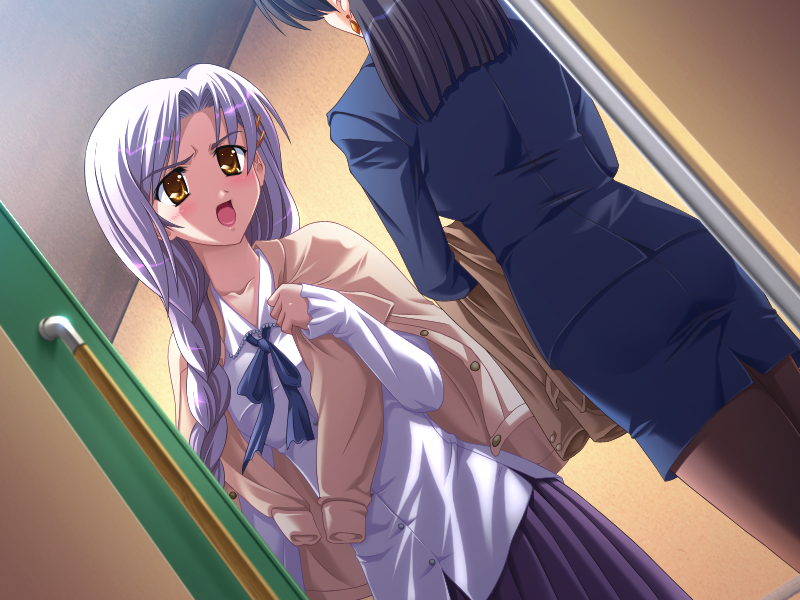 Today we’re introducing Kusuhara Ayaka, the kind girl with a caring heart. Ayaka is a third year student at St. Francesca, who lives on her own in an apartment just outside of campus. She’s a member of the art club, though she often skips meetings, and she’s very kind to everyone she knows. Still, she’s not a pushover either, and can voice her opinion when it matters too. If not for an abandoned puppy you both find by chance, the two of you would likely never have met. Still, if you follow up on the chance, you may just be able to grow closer to her. Still, the problems never cease, as growing closer to her brings new, more serious issues to the surface. What secrets are being kept hidden from those who know her? It’s up to you to decide whether or not to step into her personal life and close the distance between you. Ayaka is voice by Motoyama Mina, a voice actress with over 100 different roles to her name. 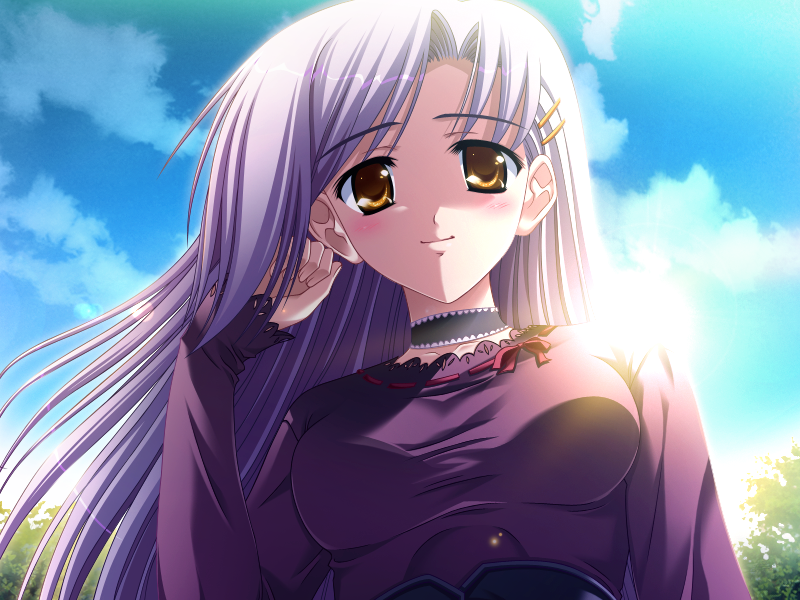 Some of her previous roles include Kan’u from Koihime Musou, Hozumi Sayaka from Yoakemae yori ruri-iro na, Hatsuhime from Yo-Jin-Bo, Kiryuu Tsukasa in Akaneiro ni somaru saka, Naya in Seinarukana, and Ashikaga Chie in Cross Days. 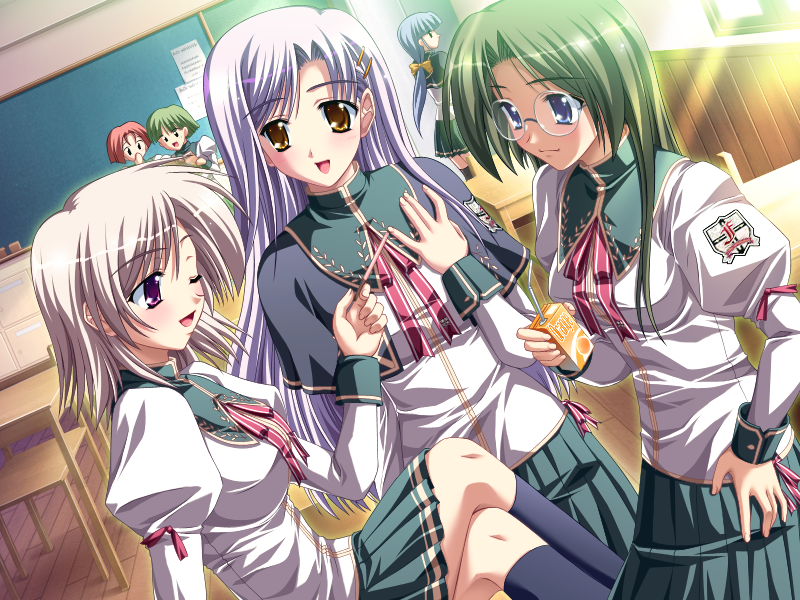 Harukoi seems to have too many diabetes-inducing sweet heroines… but I suppose that’s the point, innit? 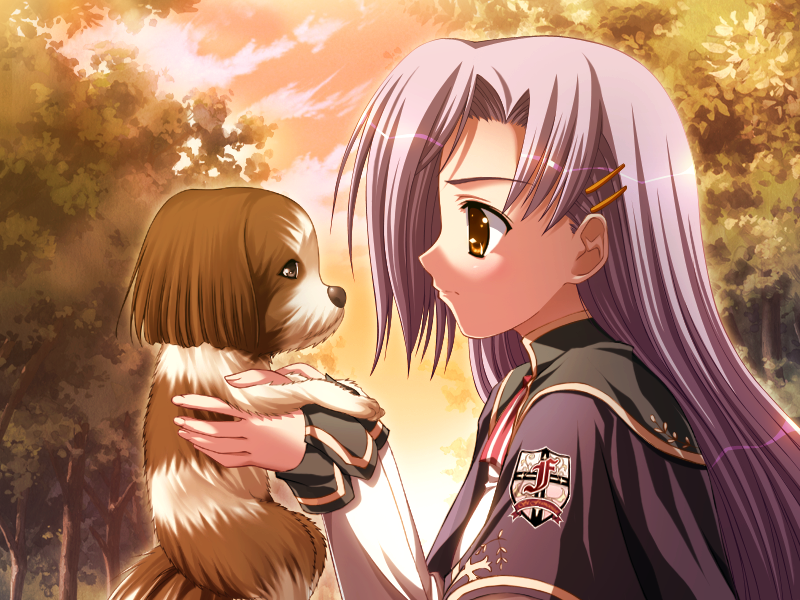 Dear god of eroge, please let it be better than Shuffle at least. Although… that shouldn’t be very hard. Am I the only one who thinks from a few angles she kinda looks like Sakura from Fate/Stay Night? It’s a bit dark, but she even has a fear of caterpillars! If Sakura was reborn from a heaven’s feel dead end, Ayaka fits the bill.